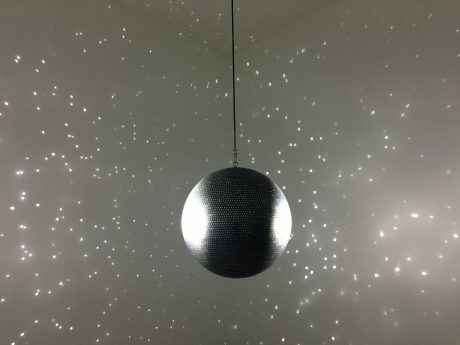 Sited next to Thinktank’s Planetarium, Totality the contemporary artwork is by the artist Katie Paterson. It is made up of 10,000 images of the solar eclipse which illuminates and sparkles from an oversize rotating mirror ball. The collected images include the oldest found drawing of a solar eclipse from 1778, early 20th century photographs, as well as contemporary images sourced from the internet, and from the most technologically advanced telescopes. Totality is a 70th Anniversary Commission for the Arts Council Collection.